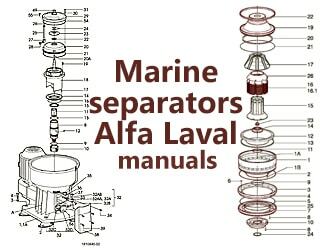 ALFA LAVAL separators: MAPX204, MAPX 205, MAPX207, MAPX209, MAPX210, MAPX309, MAPX313 | MAB10, MAB104, MAB204, MAB205, MAB206 | MMB304, MMB305 | MOPX207, MOPX209, MOPX213, MOPX 309, MOPX313 | MMPX305, MMPX304 | FOPX605, FOPX607, FOPX609, FOPX610 | LOPX707, LOPX709, LOPX710, LOPX705 | WHPX405, WHPX409, WHPX410, WHPX413, WHPX505, WHPX507, WHPX508, WHPX513 | Spares for all WSK KRAKOW SERIES separators. 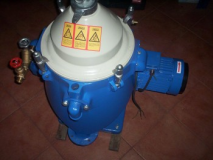 - Condition: fully reconditioned (all new spares). 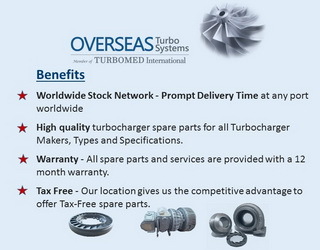 6 month warranty. Spring, Snap ring, Pin, Sleeve, Bowl hood. 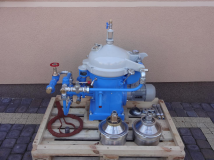 Alfa Laval MAB 104 60 Hz Centrifuge regeneration: 5900 euro. 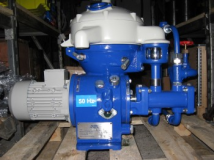 Pump (new) for Alfa Laval MAB 103 / 104 price: 1800 euro. 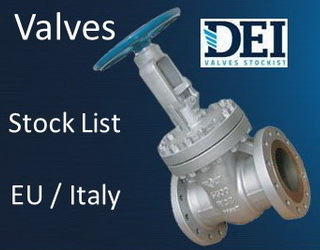 Bowls regeneration for Alfa Laval MAB 103 / 104: 1600 euro.